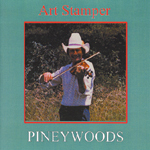 Featuring Curtis Burch, guitar; Cortney Johnson, banjo; Hazel Johnson, mandolin; Ricky Burch, bass, and Art Stamper, 1st, 2nd, and 3rd fiddles. Featuring Steve Colley, banjo; Harry Bickel, old-time banjo; Dan Jones, mandolin; Stuart Duncan, Mandolin; Robard Shaffer, rhythm and lead guitar; Buddy Griffin, bass. Featuring Blake Stamper, guitar; Raymond McLain, banjo; Jesse McReynolds, mandolin; Mike Bub, bass, Art Stamper, fiddle and viola. Featuring J.D. Crowe, banjo; Harry Bickel, banjo; Danny Jones, mandolin; Blake Stamper, guitar; Steve Cooley, bass. While hospitalized for chemotherapy,. Art told pal Harry Bickel: "When I get out of here, I want you, me and Doc to record an album of old-time music." This album is the result. 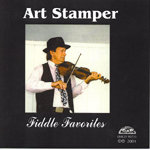 Featuring: Art Stamper, fiddles; Harry Bickel, banjop; Doc Hamilton, guitar; Tim O'Brien, guitar and vocals. Blackjack Grove; Wake Up Darlin' Corey; Duck River; Old Arkansas; Hickory Jack; Moonshiner; Posssum Up a 'Simmon Tree; Sweet Dixie; Little Birdie; Rose in the Mountain; Train Forty Five; Trouble on My Mind; Old Kentucky Whiskey; Lorena. Click any CD cover to buy that CD.